TRAINING IS A NECESSITY .....NOT AN OPTION! 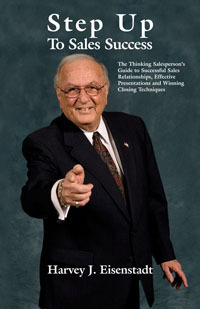 Order your copy of this informative book based on more than 50 years of successful sales experience and consulting. 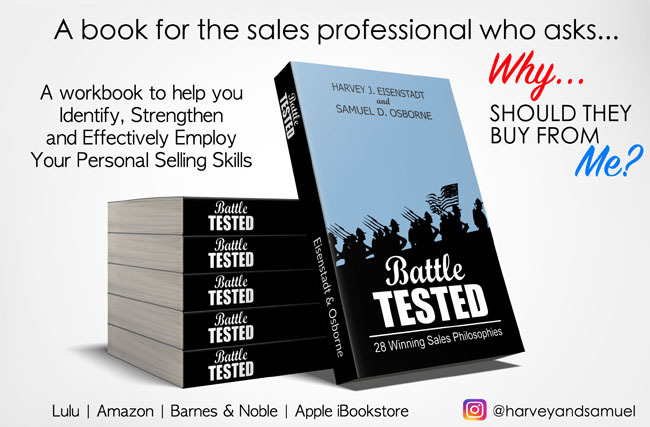 It offers more than 250 pages of useful and proven methods to enhance your sales efforts. getting the buyer to buy and answering the question “why should they buy from me? Harvey J. Eisenstadt provides customized consulting services. He is also available for keynote presentations at special events. Attendees will take part in extremely powerful interactive workshops focusing on the basics and fundamentals for sales success empowering them to grow their businesses. Workshops and keynote presentations are available for small teams, larger teams, conferences and one on one training. Website Designed and Maintained by TAP Solutions .